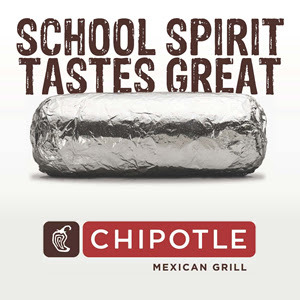 Please plan to join us at the Delaware Chipotle (1710 Columbus Pike) on Monday, February 26, from 5:00-9:00 p.m. for a fundraiser to support our music department. Just mention you're there for the DCS fundraiser to the cashier and 50% of the proceeds will go to DCS. We hope to see you there!